Sayura House offers you excellent Japanese themed rooms decorated with traditional furniture, sumptuous breakfast and a beach location. 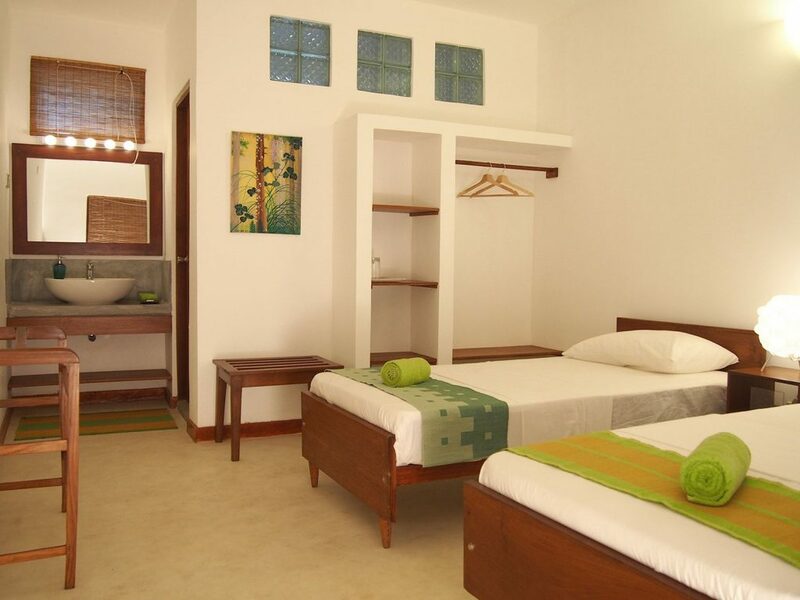 The hotel is a perfect retreat if you are seeking an exotic laid-back vacation. The cordial hotel staff makes sure that you enjoy a hassle-free stay. 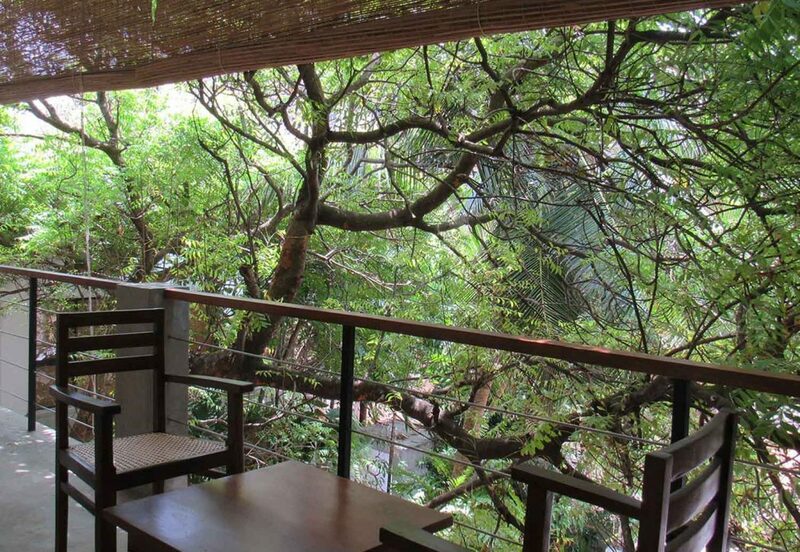 Adorned with an alluring garden, Sayura House Colombo presents an ecstatic stay in the city. 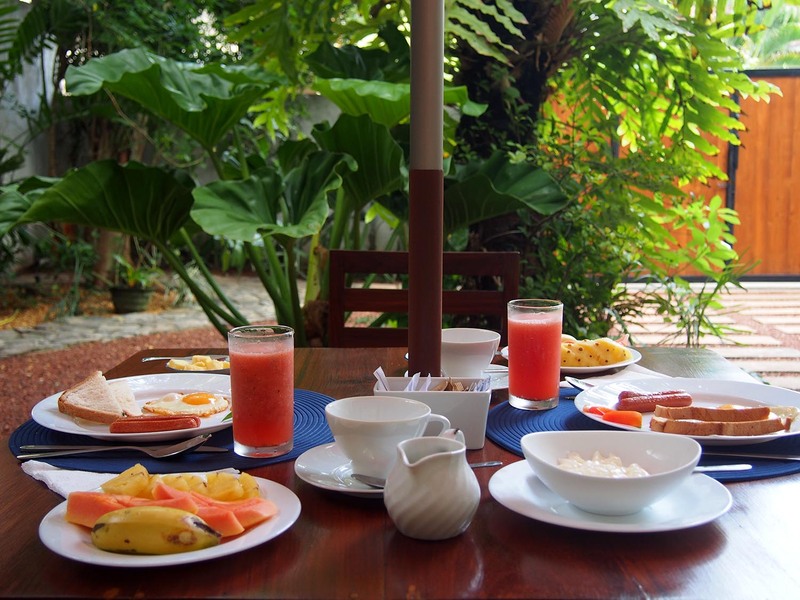 Situated at the vivacious Wellawatte, the hotel is a cozy shelter for couples, families, and business travelers in Colombo. 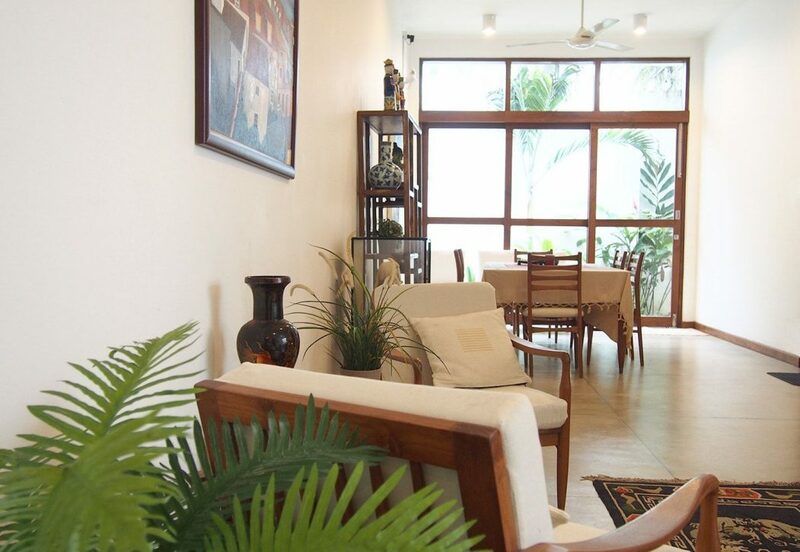 The property is crafted with the modern infrastructure. 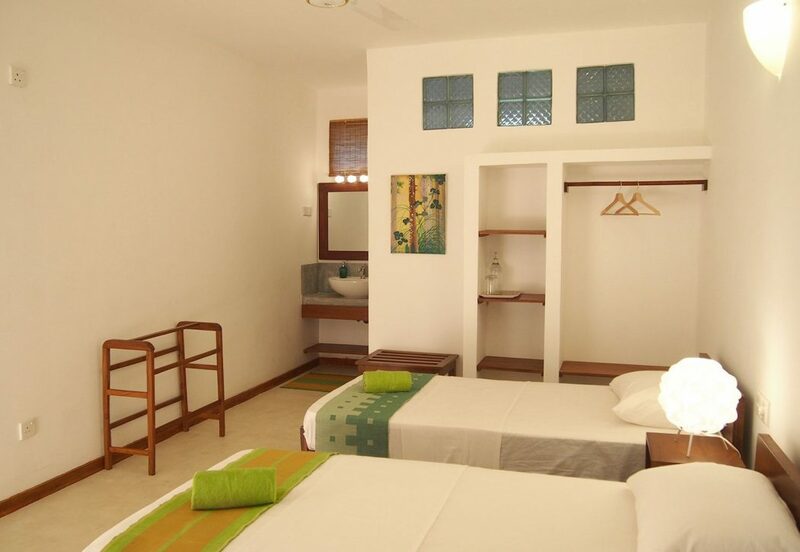 Further, the gracious staffs in the hotel serve the guests with a supreme hospitality. 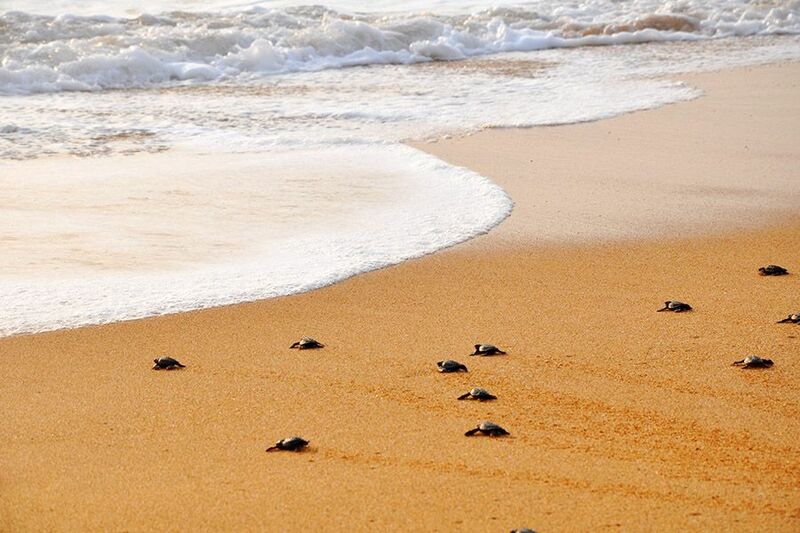 Bandaranaike International Airport is about 34 km from the hotel. It provides an airport shuttle service to the tourists. 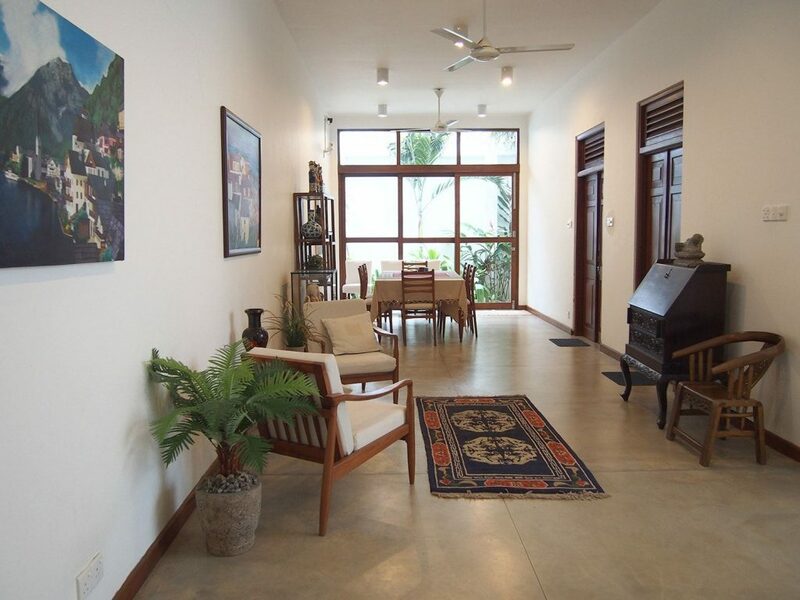 The popular tourists attractions in Colombo like the National Zoological Gardens of Sri Lanka, Arcade Independence Square, Gangaramaya Buddhist Temple, Beira Lake, and R Premadasa International Stadium are in propinquity to the hotel. 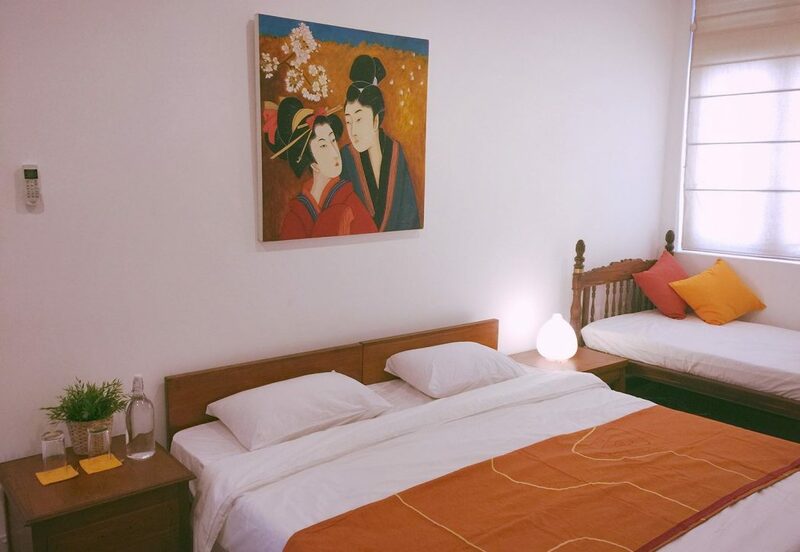 Sayura House offers guestrooms into different categories including Deluxe King Room, Garden View Standard Twin Room, Superior Double Room, Superior Triple Room, Deluxe Double room, Standard Twin Room with Balcony, and Deluxe Triple Room. 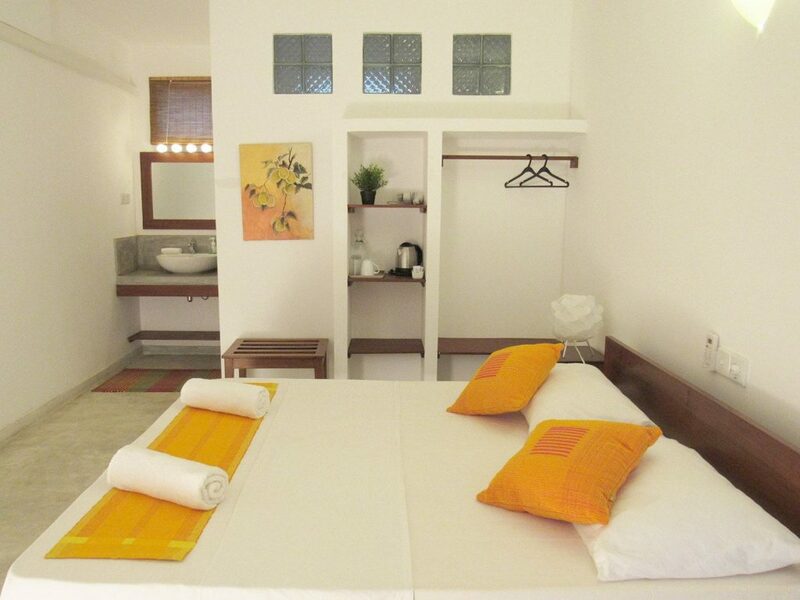 All the rooms are air-conditioned and provided with a seating area. 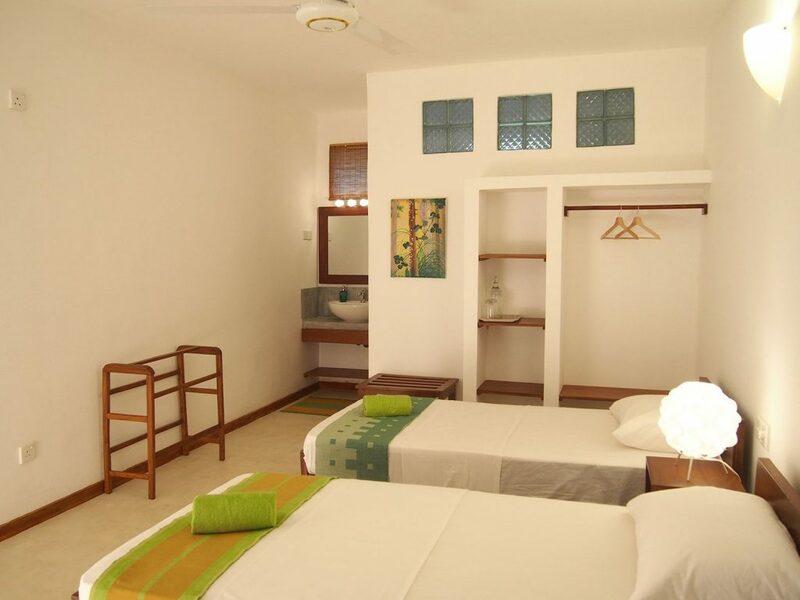 Further, the rooms are furnished with large beds, wardrobe, lounge, working desk, and an LED TV with international satellite channels. Other in-room conveniences include an electric kettle, hairdryer, telephone, and an electronic safety deposit box. 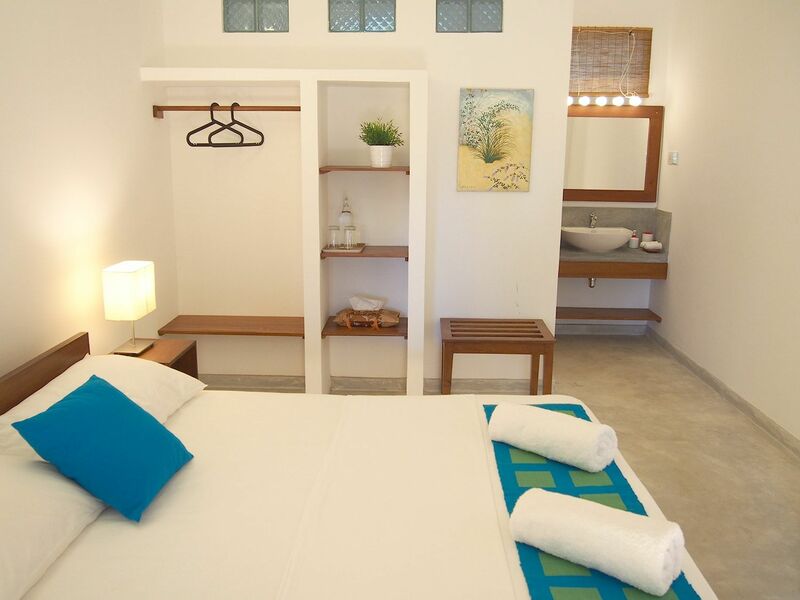 The attached toilets feature a rain shower, towels, and toiletries. 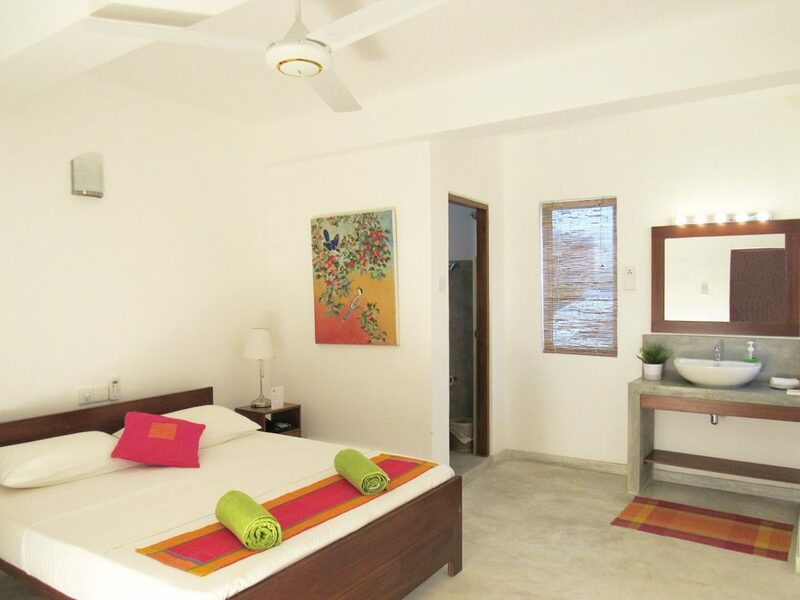 Some of the rooms are provided with a balcony. 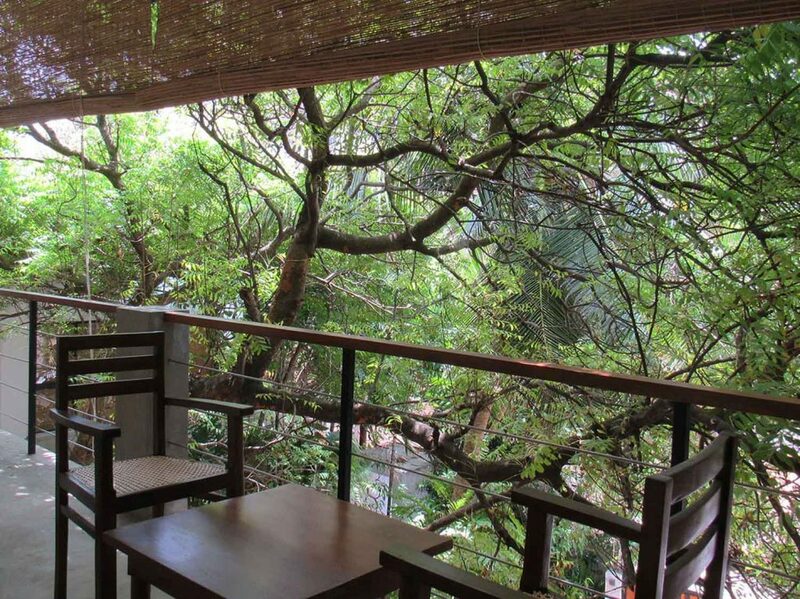 Guests get some invigorating vibes at the lovely garden of Sayura House Colombo. Further, one can recline on the outdoor lounge of the property. Tourists can enjoy the evening at the beachside. 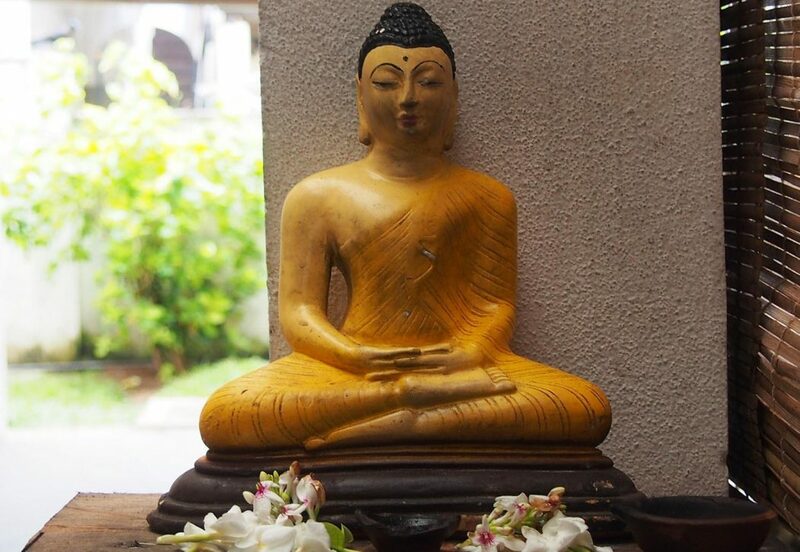 Besides, one can enjoy shopping at Wellawatte. 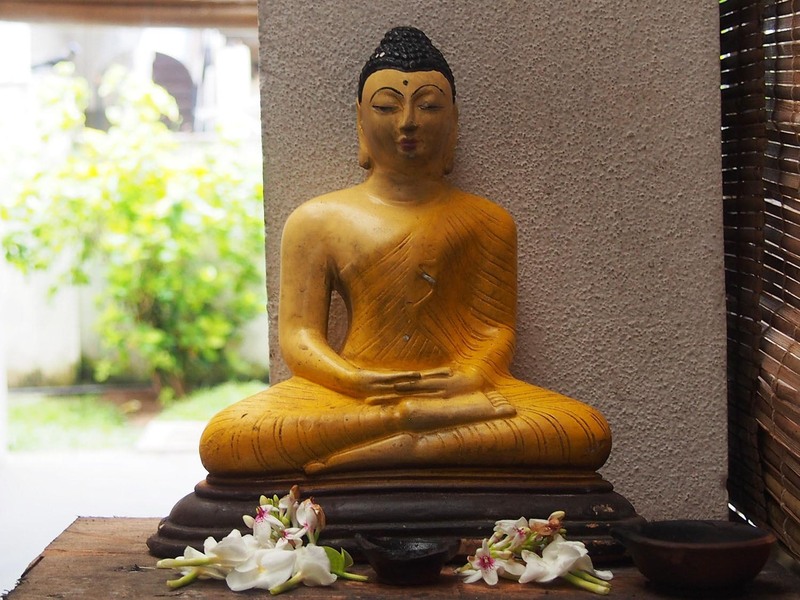 The hotel offers travel assistance to the guests to explore the city of Colombo. 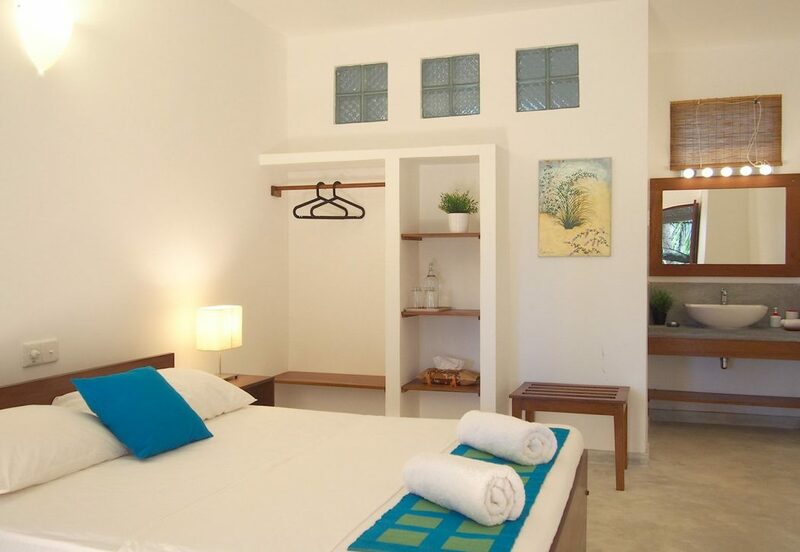 The property maintains a 24-hour front desk, travel counter, and a free parking. 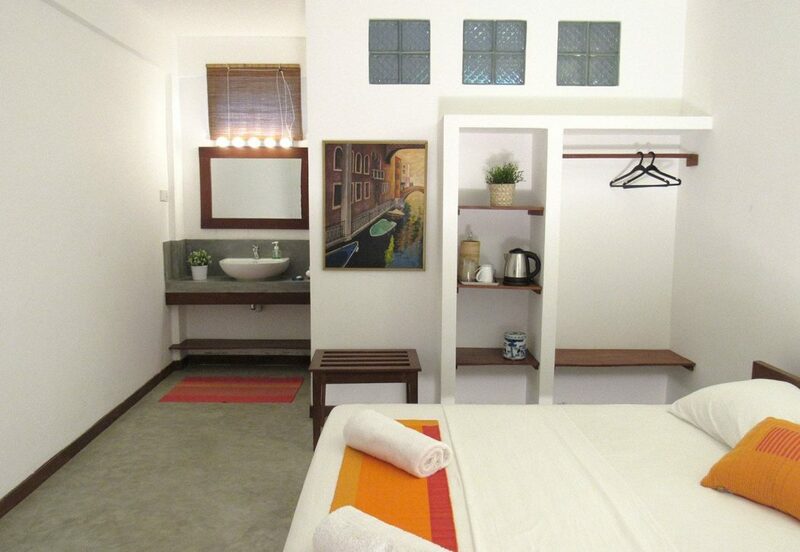 Moreover, facilities like laundry, baggage storage, concierge, and free Wi-Fi are also provided in the hotel. 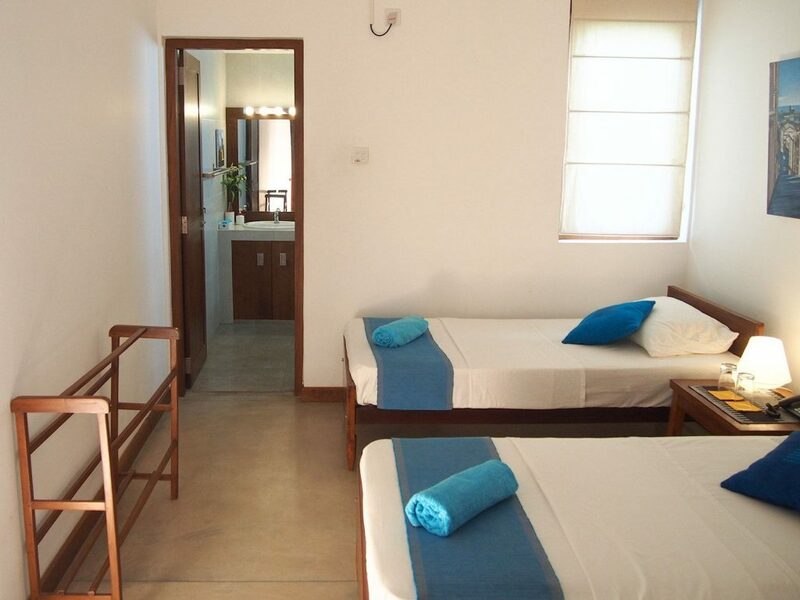 For the convenience of the guests, it offers fax and photocopy facilities in the premises. 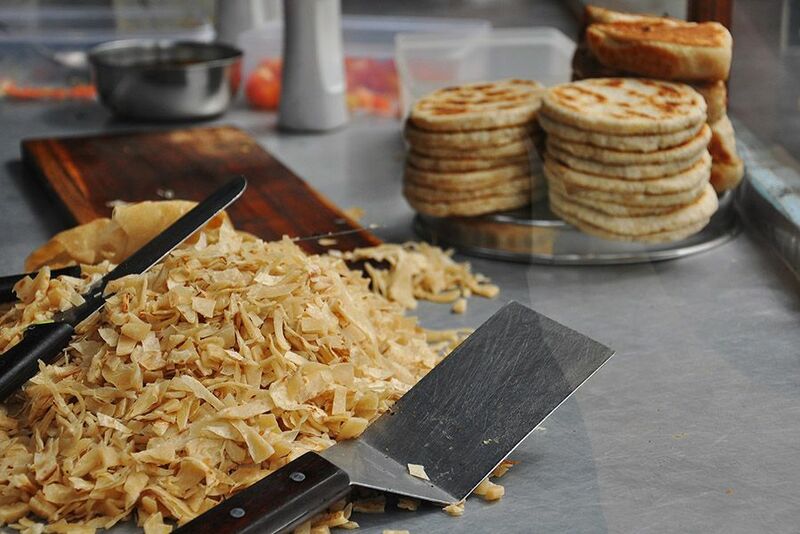 MB Yaal Restaurant, Shanmugas, Chola Authentic Indian Restaurant, and Grand Royal Biriyani & BBQ are some of the good eateries around Sayura House Colombo. The hotel has an onsite bar so that the guests can relax in the premises. 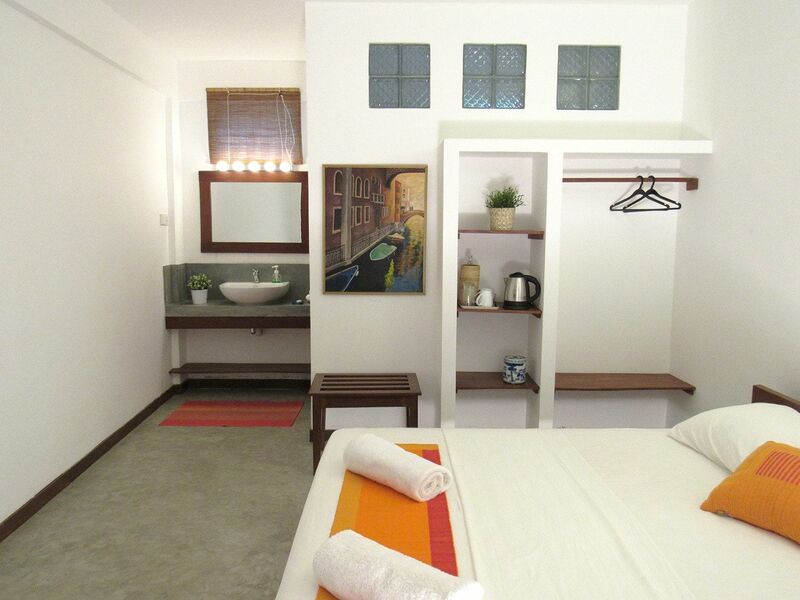 Sayura House Colombo offers a comfortable lodging on an affordable budget in the city. 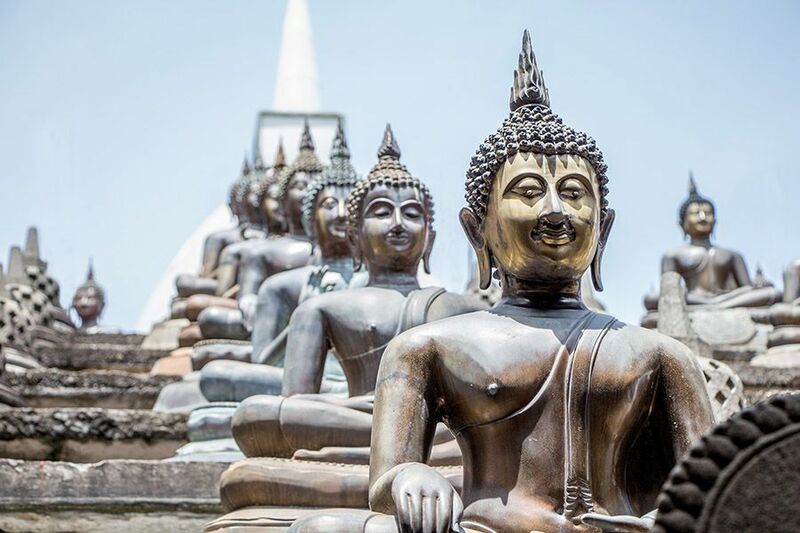 Whether exploring the splendor of the Indian Ocean or enjoy shopping at a mall, guests have eternal opportunities to experience an incredible holiday in Colombo. How much is the distance of the hotel from the international airport? Are the guests served with a complimentary breakfast in the hotel? 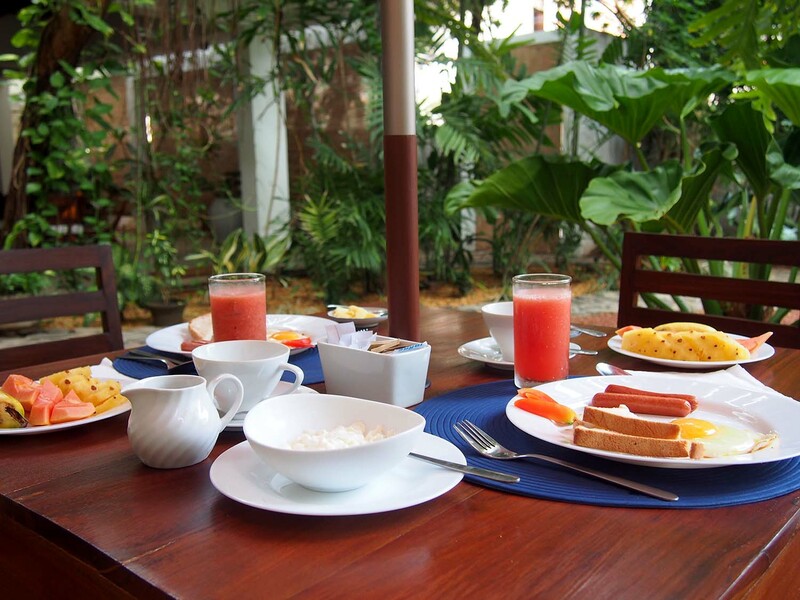 Yes, the guests are served with a complimentary breakfast in the hotel. What are the check-in/check-out timings at the hotel? The check-in timing at the hotel is 14:00-00:00 hours and the check-out timing is 00:00-11:00 hours. Does the hotel offer the currency exchange service? 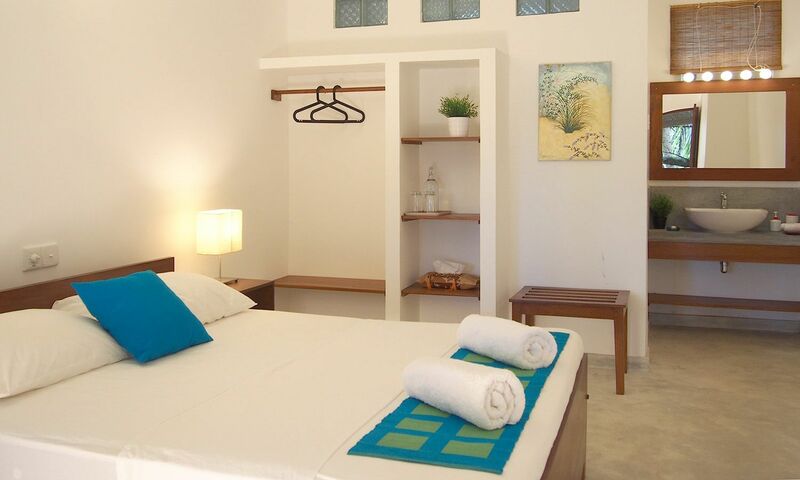 Yes, the hotel offers the currency exchange service to the guests. Is there a designated smoking area in the hotel? Yes, there is a designated smoking area in the hotel. Located at the aristocratic Wellawatte area, Sayura House offers a blissful stay in Colombo. 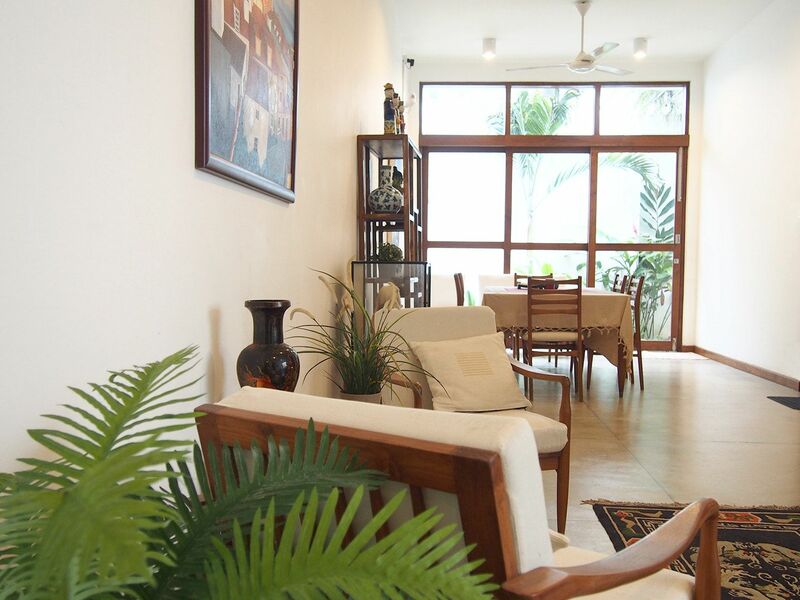 With a team of courteous staffs, the hotel serves the guests with an imposing hospitality. For the respite, there is a beautiful garden in the property. 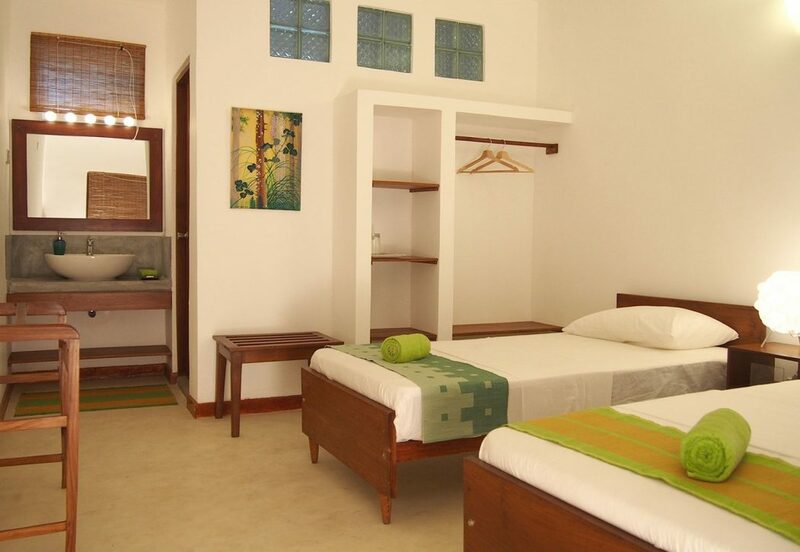 It offers air-conditioned spacious rooms in various categories. 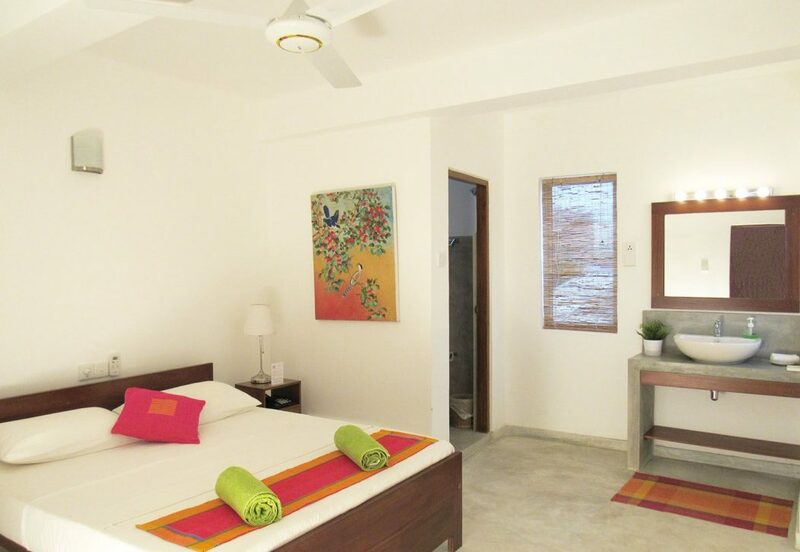 Further, the guestrooms are featured with superb decors and modern amenities. 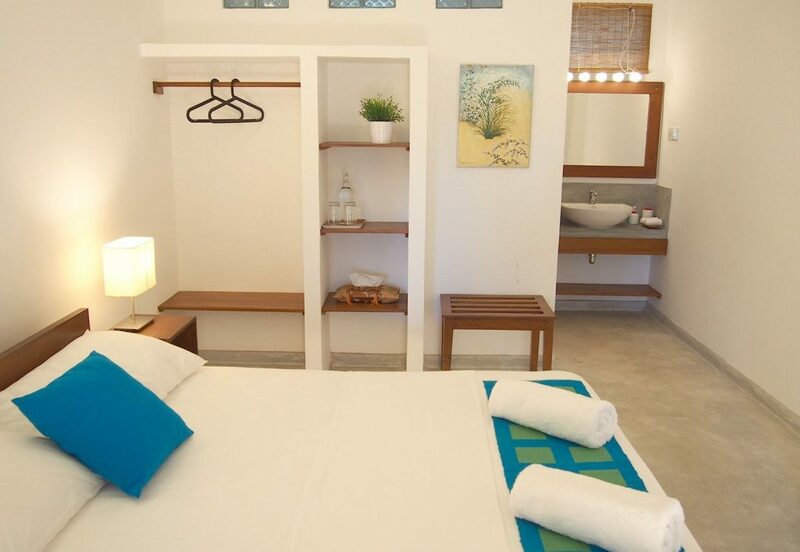 Moreover, conveniences like a 24-hour front desk, travel counter, free Wi-Fi, and laundry service are offered in the hotel. 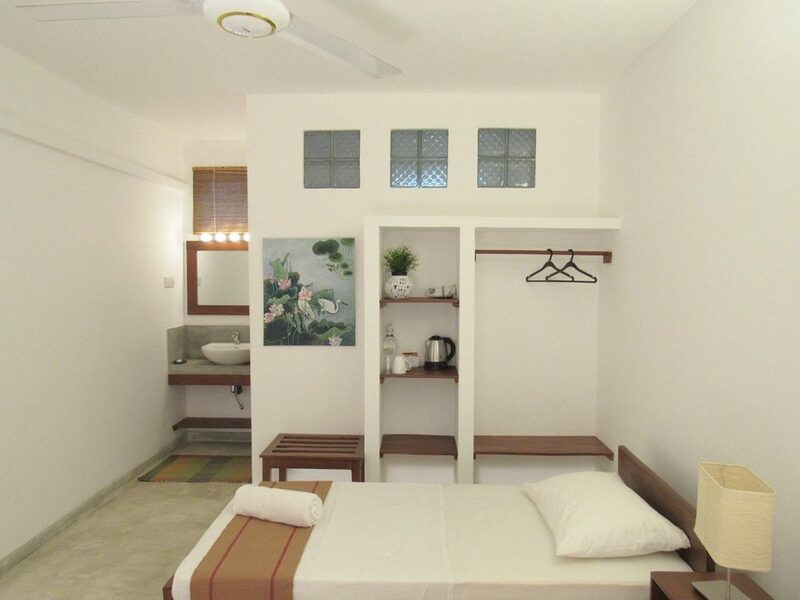 In addition, luggage storage, locker, and free parking facilities are also offered in the property. Also, the hotel provides tour assistance to the guests to explore Colombo. There are multiple restaurants where tourists can dine at around the property. Sayura House is one of the best options for a budget accommodation in Colombo to experience an amazing Vacation.